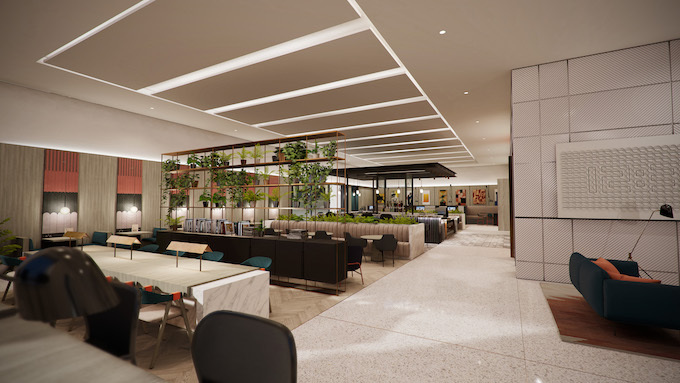 InterContinental Hotels Group (IHG) has unveiled bold new designs for Crowne Plaza Hotels & Resorts that are set to feature across its European hotels. The designs, which were unveiled at IHIF 2018 in Berlin, one of Europe’s largest industry investment conferences, are part of a global Crowne Plaza programme to ensure the brand is first choice for modern business travellers and more profitable for hotel owners. The brand is benefiting from a $200 million investment in the Americas over three years, where the new hotel concepts have already been trialled. Now it is shaking up the competition in Europe by challenging ‘business as usual’ to re-define the business travel hotel, creating a new experience to meet the needs of how travellers want to work, meet and socialise in hotels. In Europe, IHG has collaborated with world-renowned design studio Conran and Partners, to challenge the preconceptions of a standard business hotel, deliver inspiring settings and create more flexible working environments. This, combined with enhanced service, food that fuels and technology to get the job done will transform the guest experience at Crowne Plaza. Mike Greenup, vice president of Brand Management for Europe, at IHG, said: “We’re investing in Crowne Plaza to make it the first choice for modern business travellers and more profitable for hotel owners. We’ve partnered closely with our owners throughout this project and every element of the new design has been shaped with return on investment in mind. “Working with leading design studio Conran and Partners we’ve created communal workspaces where guests can switch effortlessly between work and socialising. We know that guests are looking for spaces that are more flexible, on-demand and collaborative, and our new design delivers this, while putting every square metre of the hotel to work to generate revenue. Central to the hotel is the ‘Plaza WorkSpace’ – a flexible collection of agile working areas modelled on a public square, where guests and local businesses can switch effortlessly between work and downtime. 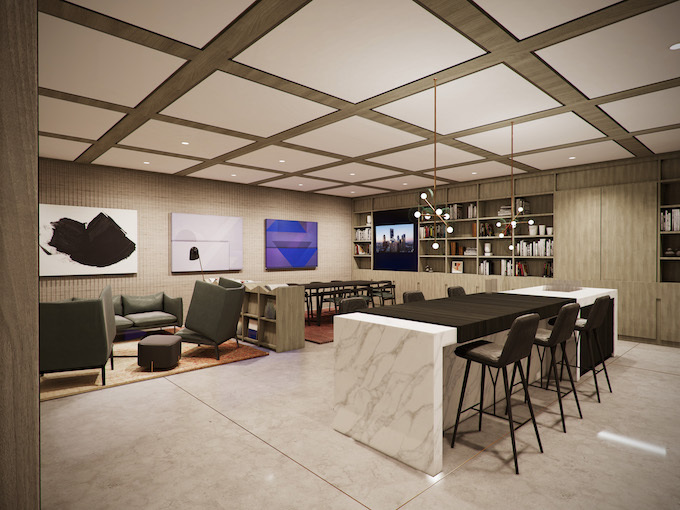 Co-working spaces with huddle spots and built-in touch screens will sit alongside food and drink options, with the aim of increasing dwell times, F&B revenue and generating non-guest spend. Simon Kincaid, director, Conran and Partners, said: “We have been working closely with IHG over the last year to understand past, present and future guest profiles for Crowne Plaza, so we can define and exceed their expectations. The guest room has also been re-defined with the new ‘WorkLife Room’, a calming environment designed with three distinct zones to support work, downtime and a better night’s sleep. Rooms will feature materials that reduce noise disturbance, while lighting settings will enhance the sleep experience. Informal meeting areas have also been transformed. ‘The Forum’ is a dynamic bookable event and co-working space with a ‘Spanish Steps’-style layout that makes it ideal for presentations and guest speakers. ‘The Studio’ is an on-demand bookable space that can be used for collaborative workshops by day and private dining by night. IHG is partnering with owners on three flagship Crowne Plaza hotels to roll-out the new designs from later this year: Crowne Plaza London – Heathrow, Crowne Plaza Paris – République and Crowne Plaza Hamburg – City Alster.